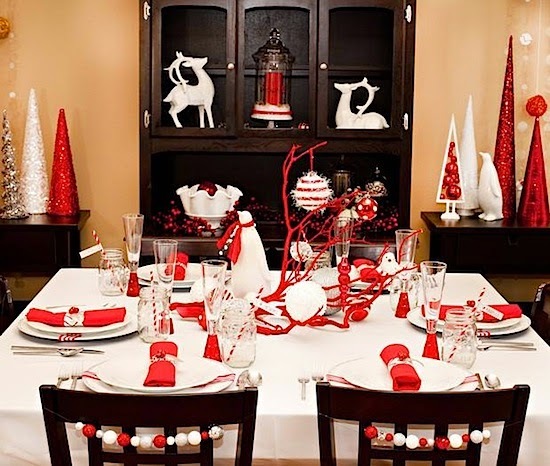 Christmas is approaching very fast, and it's extra special this year because of the fact that we are still complete and happy. 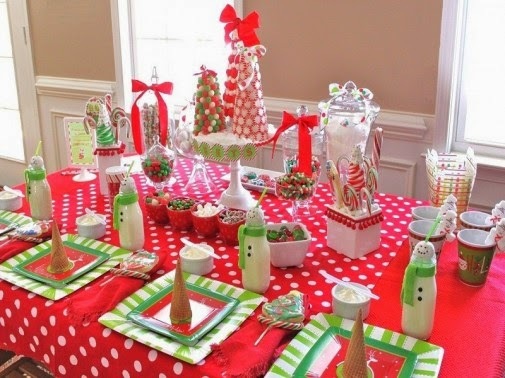 I remember that my Mom puts on a color theme every year. So far, we had blue, gold, orange, and even pink. 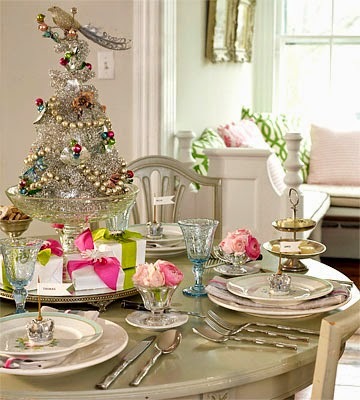 I actually liked the last one the best because it's vintage and glamorous. And since we don't have kids in the house anymore, this is a perfect set up. Although, the table needs a cover. 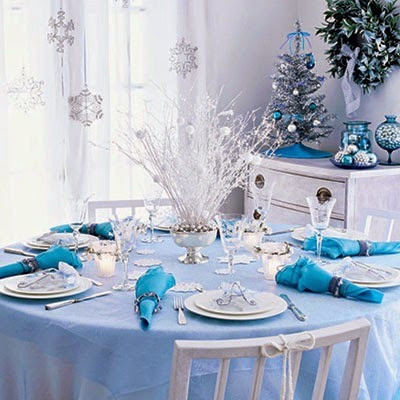 Guess I'll be looking for wholesale table linens soon to perfect the look. Then everything else is manageable since we're just near Divi. Most of my favorite tunes came from the Brits! That's why I'm giddy to know that the British invasion is just months away, mates! Due to the phenomenal success of their respective tours around the globe, FOUR of the biggest names in BRIT music are coming to Manila in 2015, namely One Direction, Ed Sheeran, The 1975 and The Vamps! Exciting, isn't it? ATAT Motorcycle Club Turns 12! Hello to all my motorcycle enthusiast readers! 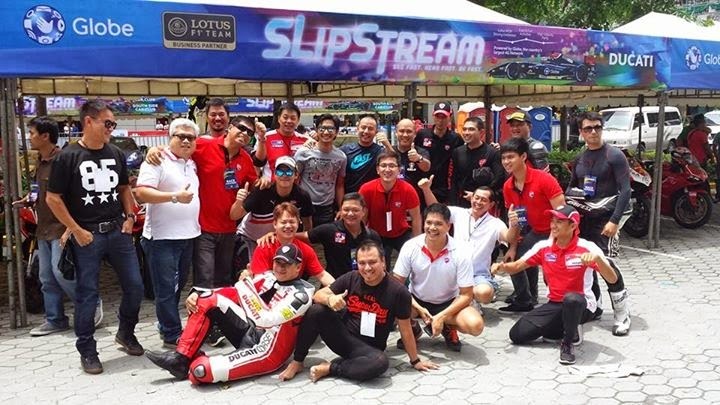 This weekend (September 26-28, 2014), ATAT Motorcycle Club (ATAT, as formally registered in the SEC, stands for Any Time All the Time) will have its 1st official long ride for 2014 to Baguio as it commemorates the new set of officers for the year 2014-2015 with President Charlie Carlos Ride. Before there was Batman, Catwoman, Poison Ivy and The Penguin, there is a story behind Gotham City and how it is spawned by villains. 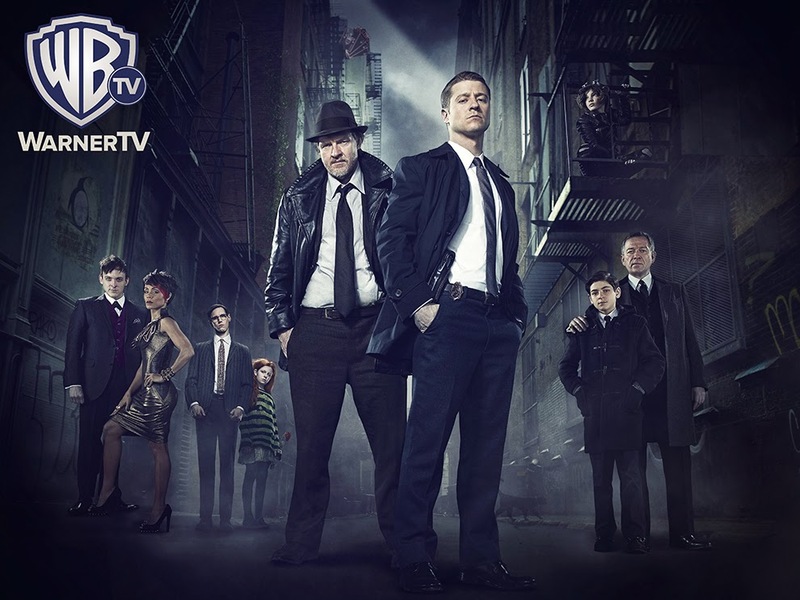 And this Thursday, September 25, witness how their story unfolds in this new series on WarnerTV, GOTHAM, as it premiers at 9 PM. Philippines, Are You Ready for H&M? Late last year, the SM Mega Fashion Hall opened and 3 floors were set with H&M posters. Everyone was posting in social media that one of the biggest clothing brands will hit Manila, and now, we have the final date on when it'll open! Are you an NBA fanatic? Well I'm sure that Iverson must be one of your idols. And now you'll see him coach, here in the Philippines! 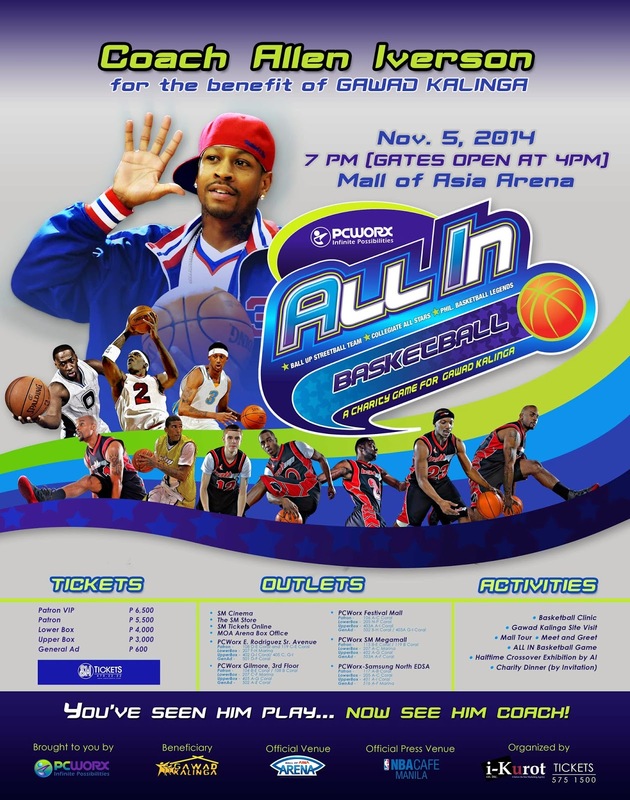 Starting today until October 9, 2014 --- the first 500 ticket buyers of any section will be invited to the closed door shootaround of Iverson and Ball Up Event. From the 500 lucky patrons, 40 fans will be randomly selected on the spot for photos and autographs with Iverson and his team. Being free is able to do whatever you want, in your own pace and time. As a right of every woman and every individual, it is also by freedom that lets us make our own decisions and pursue our dreams and passion. But how can we become free if we have insecurities that bring us down? 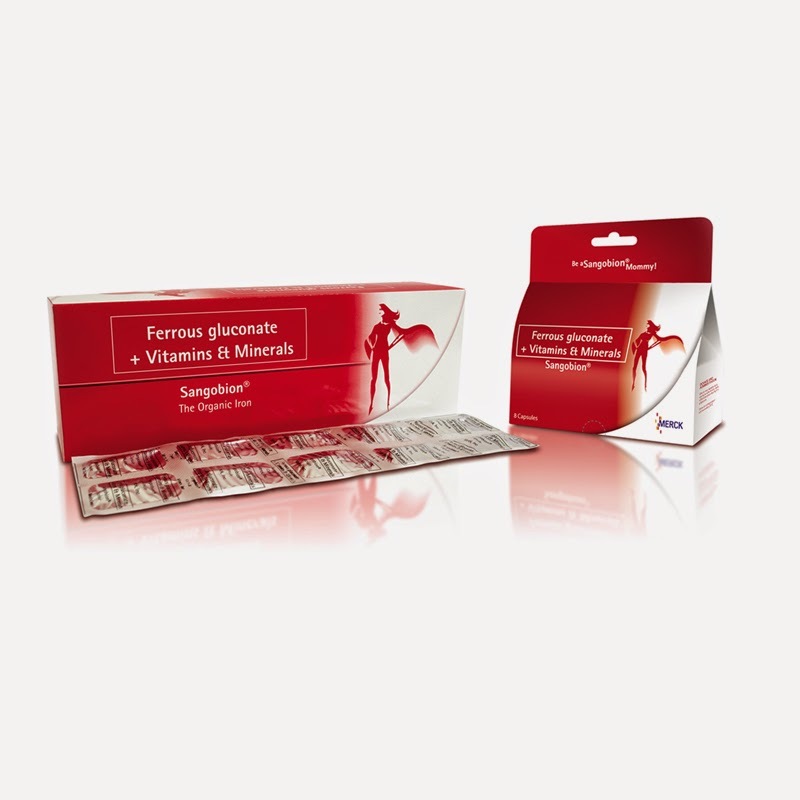 Missing out on opportunities should never be an option and Physiogel has an answer to that. 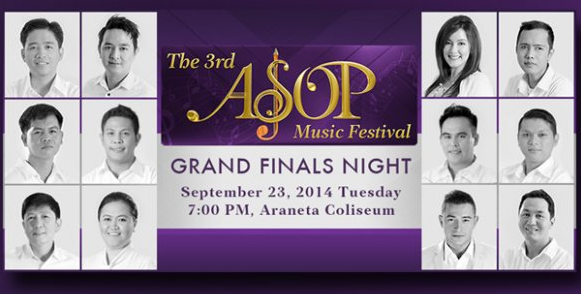 A Song or Praise Music Festival or ASOP is the first ever song writing competition on Philippine television for praise songs that aims to bring back to the lives of people what seems to be lost and forgotten – giving thanks and glory to The Creator amidst the rat race, fear and violence humans are faced with nowadays – a mark that most songwriting competitions do not possess. Dear Typhoon Mario, Please stop. You have to stop trying to scare us. Five years ago, someone like your velocity happened and it was up to no good. I was nursing a broken heart back then. When I cried, the rain cried with me. It was a very sad day for the people in Metro Manila. I was mourning for a different reason. This year, I hope that the rain will not bring me grief anymore. This afternoon, I was listening to Spotify and their Evening Acoustic playlist soothes me. After a stressful week, this is like a musiciansfriend because I needed this rest. I don't like the rain that much, but I feel that this day happened for a reason. Now I'm all relaxed for the weekend, I hope it'll be sunny tomorrow. Good night, loves. Pray for a perfect day again. With the recent typhoon and floodings, did you know that the most dangerous animal bite in the world is also the most common and often go unnoticed? Caused by the deadliest insect in the world, the Aedes aegypti mosquito, dengue is the most rapidly spreading mosquito-borne disease in the world and is more rampant in countries with tropical climates like the Philippines. Growing up, I am not that fond of eating spicy food. I wouldn’t even dare touch any spices from my Lola’s kitchen. But if there’s one thing I love about spicy food, it would be curry. 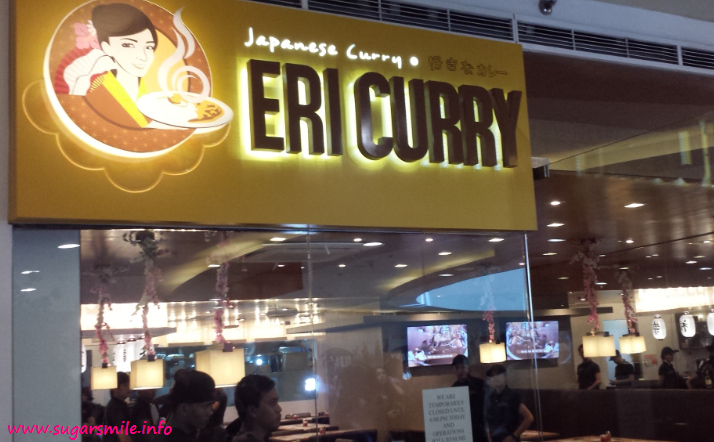 And I’m quite excited that Eri Curry is just located at SM Megamall – my curry craving is finally satisfied. And the good thing is, there’s more to this curry place. Do you have dry and frizzy hair? Or do you want to learn stylish hair techniques from the experts? Well now, your online source for hair solutions and inspiration has finally arrived. Last September 18, Asia's first hair care online resource, All Things Hair officially launched to help us achieve that superb hairstyle. Do you have a favorite doll? Did it ever say hello to you? This September 17, brace yourselves as Star Cinema's horror-drama film, Maria Leonora Teresa comes alive in cinemas and challenges your fear. 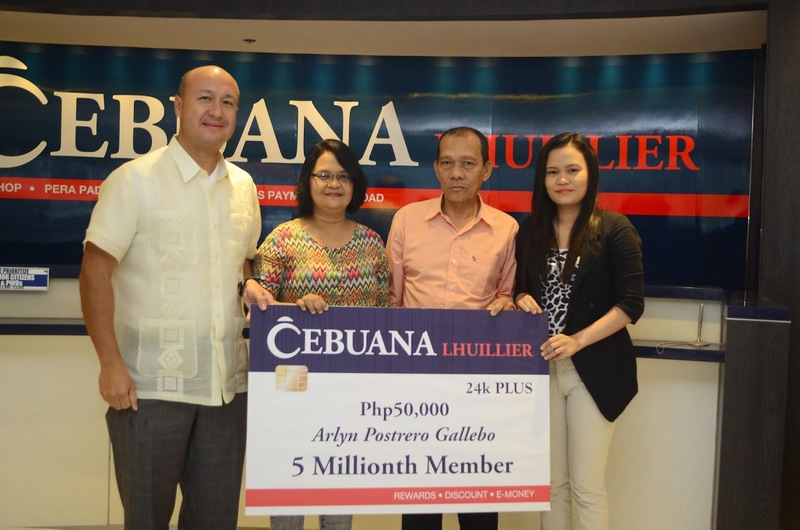 Cebuana Lhuillier has reached a new milestone as its 24k Plus Card, the company’s loyalty rewards program, hit the five-million membership mark since its launch in 2009. 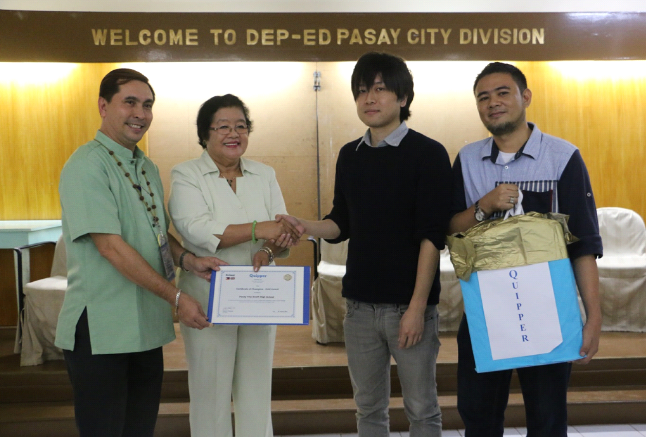 To celebrate this achievement, the biggest microfinancial company in the Philippines recognized the lucky five-millionth member, Arlyn Gallebo, a teacher from Zamboanga Sibugay, in ceremonies held at the Cebuana Lhuillier branch in Jupiter Street in Makati City. Music, lights and beats - I cannot wait for this year's Rexona Run! Because I wasn't able to go last year due to work, I made sure to sign up this 2014. 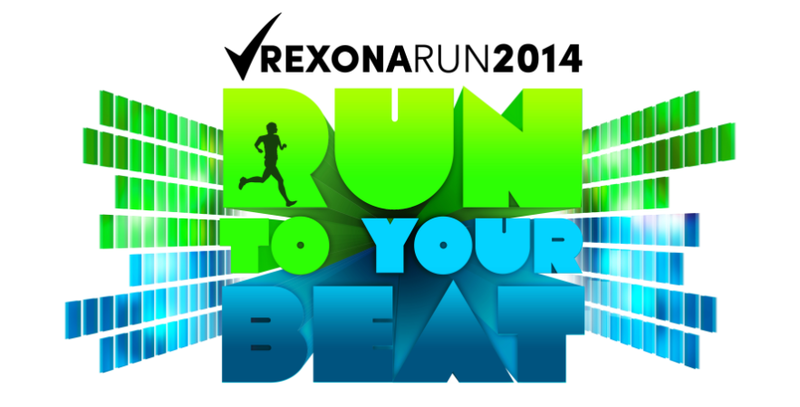 So gear up this October 26 as Rexona gives you pulsating beats and scintillating visuals that will make you do more and push yourself further at the Rexona Run To Your Beat 2014. These past few days, I have been posting about showering with a certain "Coco". They have been trying to guess who Coco might be, but since the suspense is killing us, I will finally break my silence. 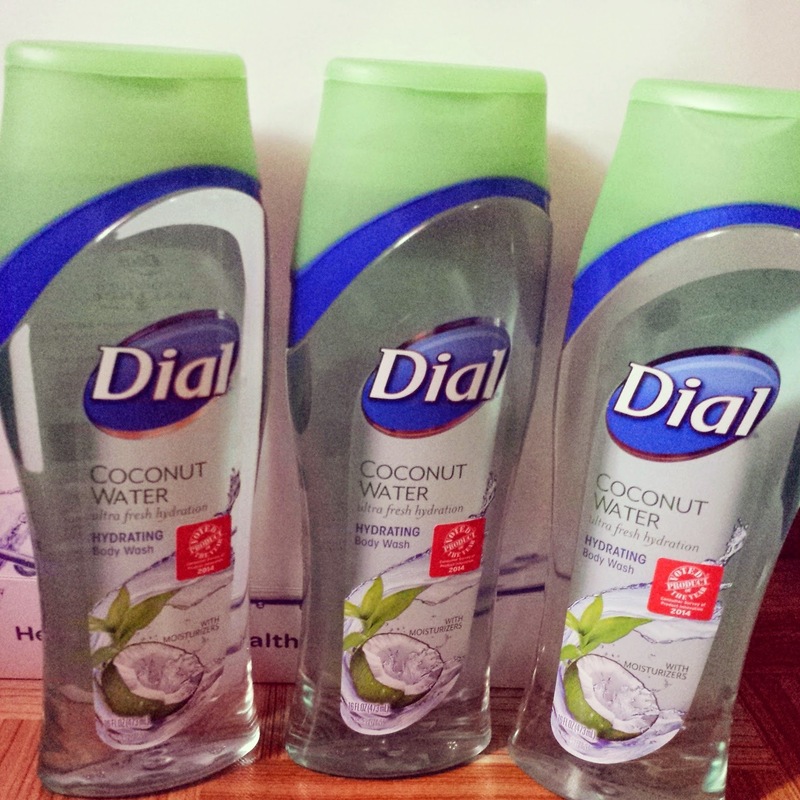 Coco is Dial Coconut Water Hydrating Body Wash! Did I enjoy Coco? Read on to find out. 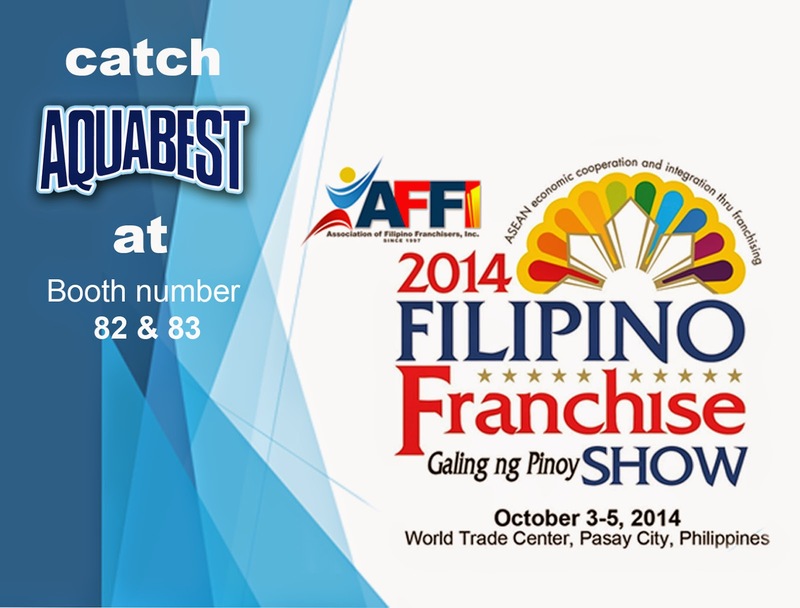 Aquabest, the country's leading water refilling franchise is proud to support the upcoming 2014 Filipino Franchise Show. "We are proud to support Filipino entrepreneurs who are exhibiting their world class concepts through AFFI's annual franchise show. This year there will be hundreds of participants each with its own success story that will inspire everyone to go out and start their own business." says Carson Tan CEO of GQWEST Inc which owns the Aquabest brand. The company is a long time member of AFFI with around 700 stores and is considered among the leading players in the water franchising industry. This year, the company will continue to highlight its 3 in 1 Combostore concept as well as introduce its new Nanogen technology. resulting from the fusion of the three brands. 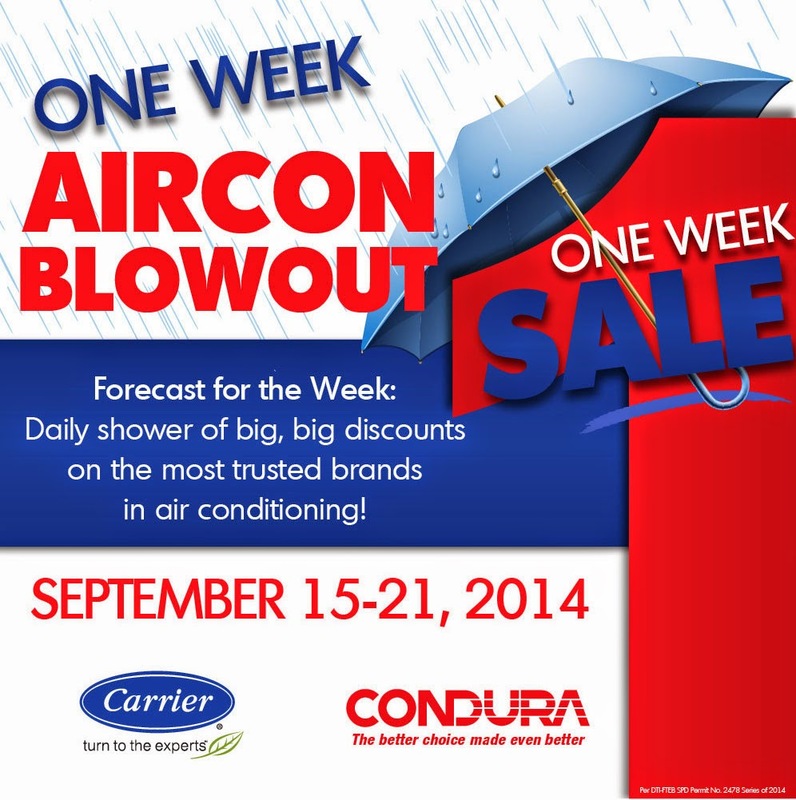 The concepts offer a faster return period and better margins. The company is also proud to announce that it would be the first refilling station franchise to utilize nanotechnology in its filtration process. "Nanogen" which is a Korean developed water filtration system that ensures a high level of water purity while at the same time being the first in the country to offer alkaline pure water. 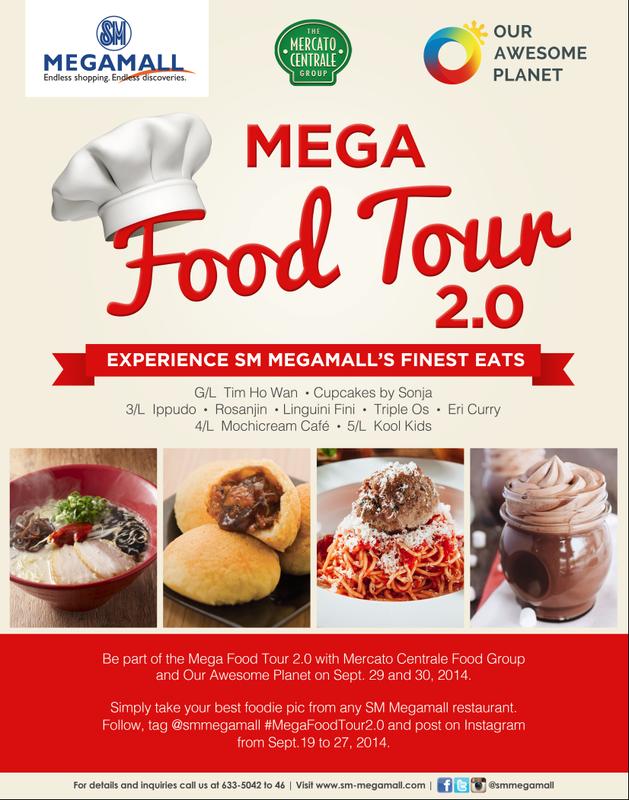 The 2014 Filipino Franchise Show is presented by the Association of Filipino Franchisers Incorporated (AFFI) the country's premier franchise group comprised of local franchise concepts. 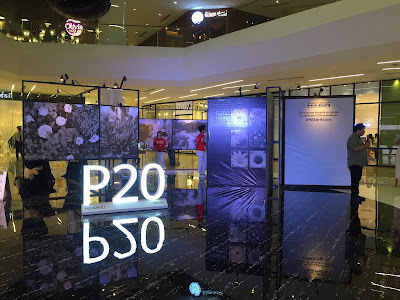 The show runs from October 3 to 5 at the World Trade Center. What better way to celebrate my birthday last Thursday but with the Team Kramer! 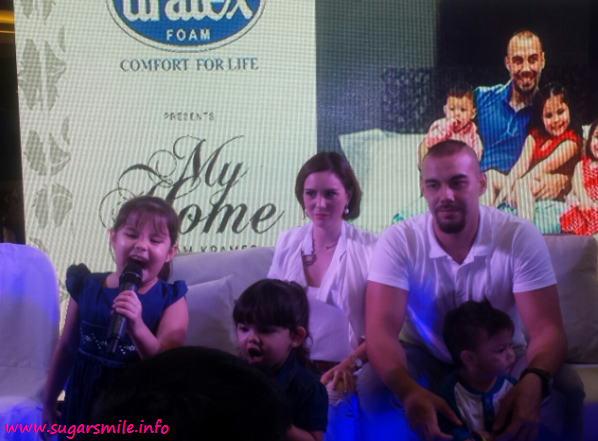 Yes, Doug, Chesca, Kendra, Scarlett and Gavin, also known as Team Kramer tells us how they trust only one brand when it comes to their mattresses, URATEX. And we all know how sleep is very important for families with kids, right? 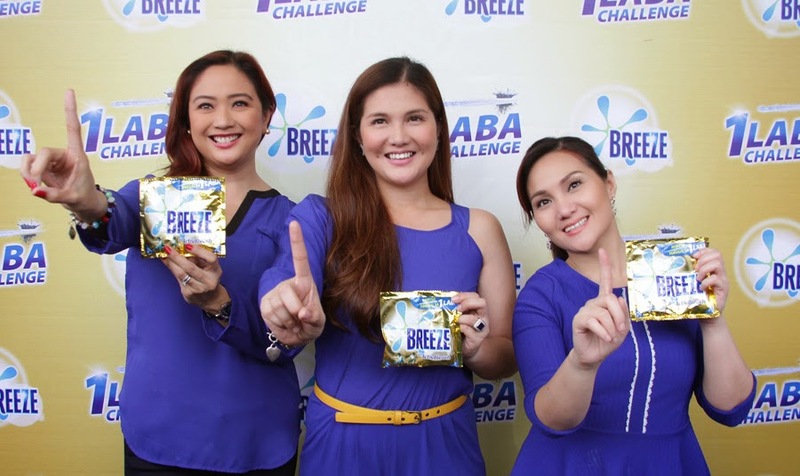 It is only fitting that they are chosen as the brand ambassadors of Uratex because their family shows a great sense of togetherness and happy bonding moments. I remember using Acer when I was younger. Back then, they were big on their laptops. Like Toni Gonzaga, Acer's newest Brand Ambassador, and the face that promotes the newest Liquid Smartphones from the company,our favorite brand is now trendier and continues to keep up with modern technology. It's two hours after twelve and the greetings are starting to pour in my Facebook Timeline. It's really amazing how time flies. When I was younger, I'd wait for a birthday card from my Dad because he's mostly abroad.During my 11th birthday, I remember him sending me a "Happy 11th Birthday Card". I was amazed because I didn't know back then that there were cards made for a specific age. 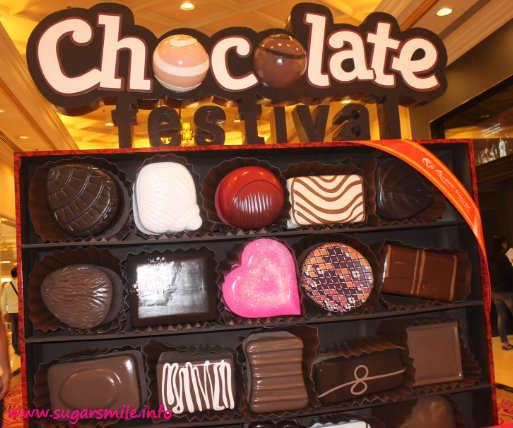 I also had one where there are chocolate brands inside and you can claim free chocolates on your birthday. Sadly, claiming the treats are only for U.S. residents. This year and on this day, everytime I open my Google account, I would see that Home Page. It's not that hard to please me. And if something goes wrong on my birthday, that photo above would make it all worth it. It's also a good thing they aren't real because I'd have to look for plus size yoga clothing and work out for months. Especially this year when I have two weddings that I have to attend to. But for now, I am thankful for the greetings, and gifts that I have already received. 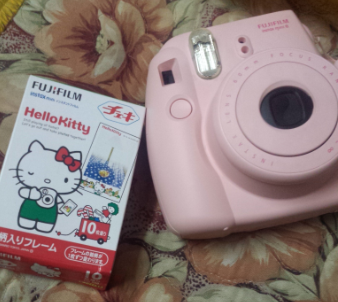 The boyfriend gave the earliest birthday present last July because I've been bugging him that I want a pink Instax this year,which he gladly obliged. 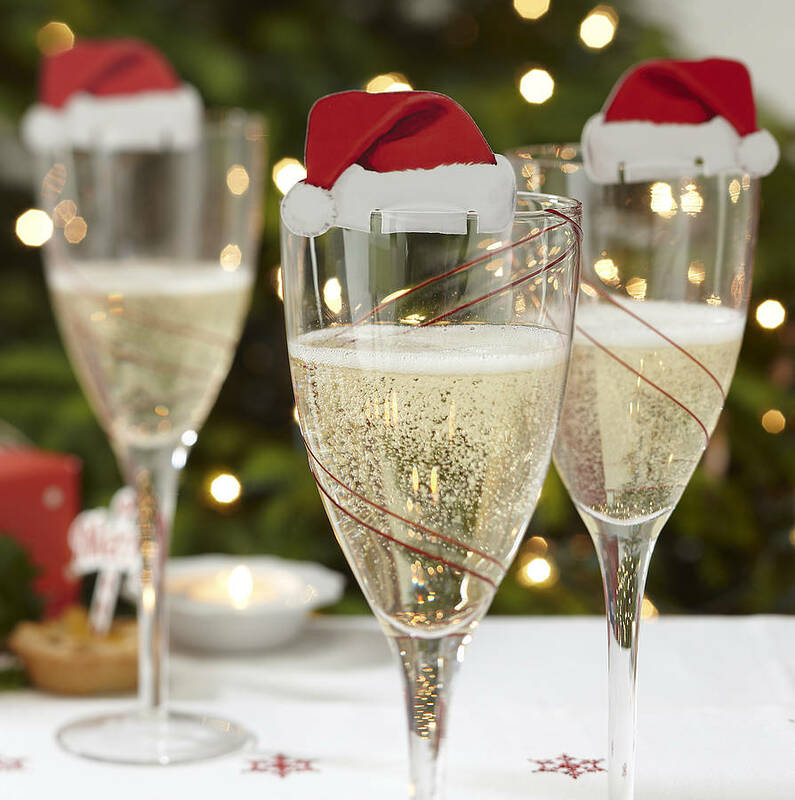 This year, I can also see a miracle unfolding before my eyes. I'm not sure if we're finally beginning to mature, but I am thankful. Most of all, as I turn a year older, I am thankful for I realized the value of friendship and the love of the family. 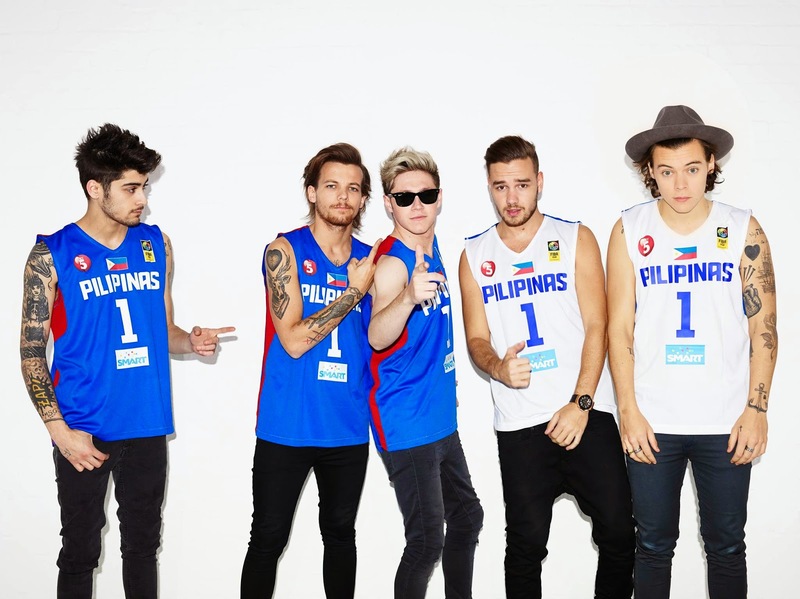 That sometimes, they'd drive you crazy, but when things get tough, they will always be with you no matter what. And above all, I have God who loves me more than anyone and anything else in this world. He who never fails to love and take care of me even if I feel that I sometimes don't deserve it.